Founding directors of FIRE, Ms. Karnika Seth & Mr. Amit Seth are avant-garde lawyers with over 15 years of experience in law practice before the Supreme Court of India and other courts. 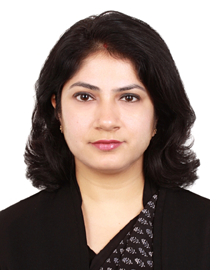 Ms. Karnika Seth is a internationally renowned legal scholar, cyberlaw expert & Educationist to various reputed institutions ,including schools & Universities across India, law enforcement academies , including the National Judicial Academy , Bhopal and National Police Academy, Hyderabad, CBI, NIA wherein more than 1000 cyber awareness training workshops have been delivered by her. Her experience has given her a clear insight into awareness needs of each segment of our society including socially or physically disadvantaged groups . She imparts legal awareness trainings & structures talks on threats one can face online and best practices required to both prevent and redress legal problems in the real and digital world ! She was awarded Law Day Award in 2012 for authoring a comprehensive book Computers, Internet & New Technology laws published by Lexis nexis and in 2015 she authored a special guidebook titled Protection Of children on the Internet which is being extensively read & referred by Schools across India. She is the awardee of the Digital Empowerment Award for the year 2015 presented at the Digital India conclave organised by Government of India and BIF. 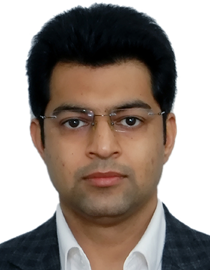 Co Founder of FIRE, Mr. Amit Seth specializes in handling Matrimonial and family law issues for over 15 years before Indian courts. His expertise lies in understanding the legal issues touching lives of different sections of our community ,including women , children and legal issues in general relating to property, adoption , marriage, divorce,child custody, domestic violence, dowry, maintenance, child labour, amongst other myriad legal issues.He adopts a mediation approach to discuss & resolve complex legal matters.This Initiative , is an endeavour to educate people about various legal rights they possess concerning legal issues which may impact their lives on a daily basis , wherein lack of legal awareness often accumulates than resolve a legal problem.